Now that Spring is in full swing, wouldn’t it be great if we could get together to have some fun? Gus has just the perfect idea! A Spring Fete with games and activities of all kinds for everyone. You can help by organizing the fete and, in return, win a baby Annamite Striped Rabbit. If you are level 15 or higher, the “All in Good Fete!” popup will appear. Click on the “Place Fete Game Booth!” button to begin the feature. Start building by collecting all the materials you need. Next, ask your friends to help or hire builders. Click on the booth to view the menu. There are four games that you will host for the Spring Fete: Carrot Toss, Egg & Spoon, Sack Time, and Pin It. Complete the first game before you can proceed to the next one. 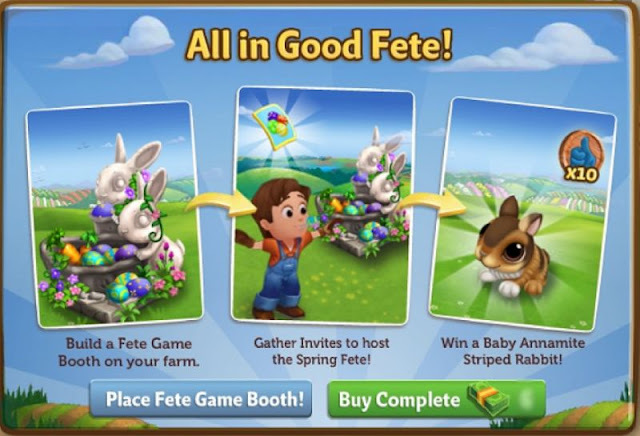 To be able to host a game, you need to collect Spring Fete Invites and ask friends to join in the game. Complete farm tasks. There are several tasks to choose from and each gives out a different number of Spring Fete Invites. Post for help. Ask your friends to send you an invite by clicking on the Post button on the lower left part of the menu. Lastly, you can purchase Spring Fete Invites by using Farm Bucks. If you want to know how many invites you have collected, just check the Invite Counter. Once you have collected the 10 invites, you then need to invite your friends. Note: Any excess Sprint Fete Invites will carry over for the next set of requirements. When your friends have responded to the invitation, click on the “Carrot Toss” button. Now that all’s set for the first game you’re hosting for the fete, you can watch and cheer as your friends play the Carrot Toss. After the first game, you can then collect your rewards and share it with friends! You can now begin collecting invites for the next game. Each game has its corresponding reward. Once all games are finished, you will be rewarded with the baby Annamite Striped Rabbit and 10 Favors! 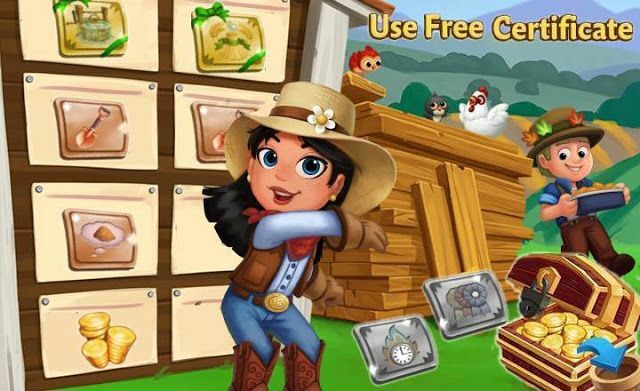 There will be lots of fun and games on your farm. And what’s more, you’ll get these awesome rewards!